Just like a chemist in a lab, you need to establish a control group before you can start testing. Create your control group by establishing benchmarks for each metric based on the performance of previous campaigns. If you are just starting out, then make conservative estimates. Now you can establish your test group by building an intelligent testing strategy for new campaigns. Begin keycoding segments of your list, offers, and mailpieces to understand precisely which variables are driving your metrics. Set up your strategy by isolating and testing one variable at a time so you truly understand which variable is triggering change. 2. Target Only the Prospects That are Ready to Buy. 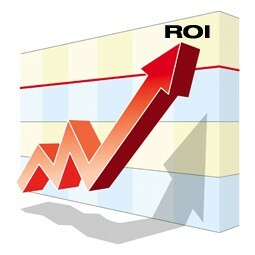 This will drive ROI, revenue and response up, while simultaneously driving expenses down. One great way to do this is to target prospects precisely when significant events occur that will trigger purchasing decisions. In the B2C market this could be buying a new home or having a new baby. In the B2B market this could be when a new President is announced, when a company moves, or when they purchase new technology. These events typically trigger an avalanche of new spending behavior. a. Score Your Prospects. Launch an in-depth analytics project to create a magic formula that describes the key demographics of your best customers. Then using this magic formula you can look for clones of your best customers. Score your prospect universe as A/B/C prospects and then focus your marketing efforts on the A’s. b. Identify Key Behaviors. Your prospect universe based on your demographic profile will be very focused, but you can identify key behaviors of your prospects so you can cherry pick with laser precision the best prospects to market to. Magazine subscription files that are aligned with your target prospect help you focus on these behaviors. These subscribers are “raising their hand in a crowd” and self-identifying themselves as a prospect specifically interested in the content of that magazine…. and ultimately your product or service.